e.g. pertains to gum disease, implants, bone grafts; a dentist who specializes in gum disease is called a Periodontist. Cleaning involves removal of plaque and calculus. Gingivitis is a mild form of periodontal disease and results in the inflammation of the gums. Severe gum problems result in bone loss of varying degrees and needs surgical removal of plaque and calculus. Cavities or decay occurs when enamel and dentin in some instances get demineralized and infected due to bacteria. Filling is a procedure in which this infected and demineralized part of the tooth/teeth is removed and the space filled with a choice of filling material. Sealants are fillings that are placed on the chewing surfaces of permanent teeth to protect the grooves, pits and fissures from forming cavities. The procedure involved is simple, does not need anesthetics and drilling. pontaneous pain and throbbing, sensitivity to hot and cold foods, severe decay or an injury that crates an abscess (infection) in the bone necessitates removal of the infected or irritated nerve tissue that lies within the root of the tooth. It is this infected pulp tissue that causes an eventual abscess. The procedure involves removing the infected pulp, cleaning and sealing of the root canal with a sterile, plastic material, called gutta percha This is done in order to prevent possible future infection. Root canals usually are followed up with crowns to protect the tooth from fracture. The loss of a single tooth can have a major impact on your dental health and personal appearance. Your teeth support and rely on each other. When one or more teeth are missing, the remaining teeth can shift out of their normal position. Teeth adjacent to the space or from the opposite jaw will often drift or tilt. These teeth are often more susceptible to decay and gum disease because they are more difficult to clean around. All of this shifting and drifting will lead to changes in the bite, which may put stress on the jaws, muscles and teeth. Ultimately, your ability to chew comfortably and your appearance may be affected. 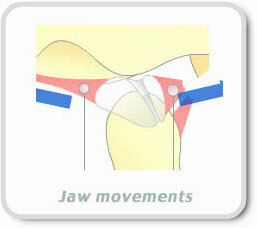 A bridge consists of a replacement tooth/teeth attached to crowns on each side. The bridge is cemented to the teeth adjacent to the space, effectively replacing the missing tooth and preventing any shifting. The procedures involved in making a bridge are very similar to those for making a crown. Bridges can be made from the same materials as crowns - full porcelain, porcelain fused-to-metal, and all metal. At least two appointments are necessary. At the first visit, your dentist will prepare the teeth next to the missing tooth for crowns. 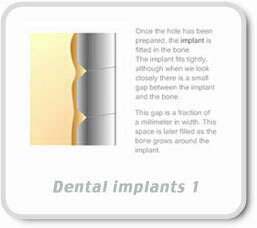 An impression of the prepared teeth will be made and a temporary bridge will be placed. At the subsequent visit, your dentist will fit and adjust the bridge and then cement it in place. 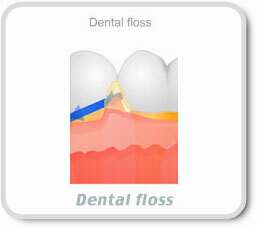 One of the main goals of modern dentistry is the prevention of tooth loss. All possible measures should be taken to preserve and maintain your teeth because the loss of a single tooth can have a major impact upon your dental health and appearance. However, it is still sometimes necessary to remove a tooth. 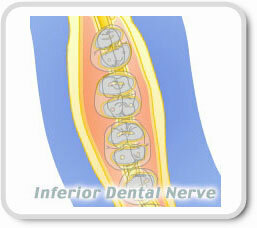 Teeth need to be extracted when one or more of the following conditions exist. Veneers are the choice of patients who prefer a long lasting cosmetic solution. Not only do veneers resolve smile deficiencies like chipped, gapped, stained, and misaligned teeth, they also provide the most beautiful results. Direct bonding is a more rapid cosmetic solution that can be used to mask stains, close spaces, and repair fractures. 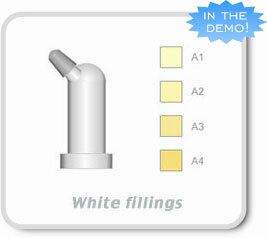 The color of the bonding material is carefully matched to the other teeth to ensure a truly natural appearance. Direct resin composite shaded to match your tooth can be used more conservatively than silver amalgam while strengthening your tooth at the same time. Whitening (or Bleaching) can brighten your teeth, diminishing the unsightly appearance of yellowing teeth. We provide both plasma arc in office bleaching (comparable to laser) as well as a home bleaching procedure. Inlays and onlays can restore large decay areas and broken down teeth as well as replace unsightly silver fillings. Inlays and onlays are bonded to the missing tooth structure blending to the color of the tooth and restoring the tooth to its original strength and beauty. 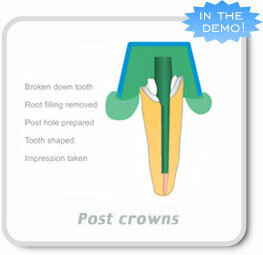 Natural looking crowns without the unsightly black lines and dull appearance of porcelain baked to metal crowns with the same strength as your natural tooth.